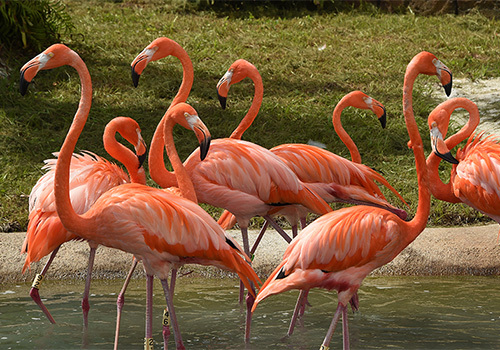 Meet and learn about all types of animals at Zoo Miami. 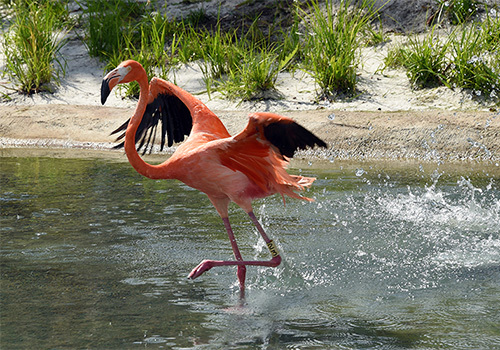 From wild, tropical birds to larger than life giraffes, you’ll find all sorts of fascinating animals here. 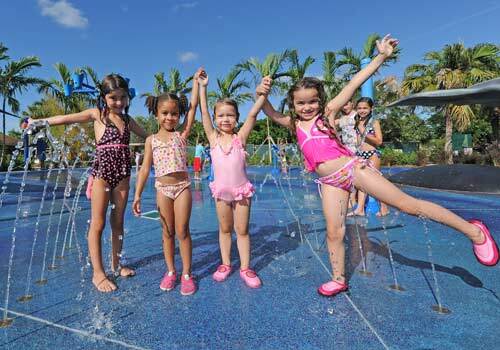 Families can feed giraffes, take a camel ride, meet a rhino, play in one of our water areas, and more. While you’re there, don’t forget to learn about the zoo’s global conservation efforts! Open 365 days a year — visit your favorite animals whenever you’d like. Over 3,000 animals including endangered species, mammals, fish, birds, reptiles, and amphibians. Food and beverages other than baby formula/food are prohibited from entering the zoo. 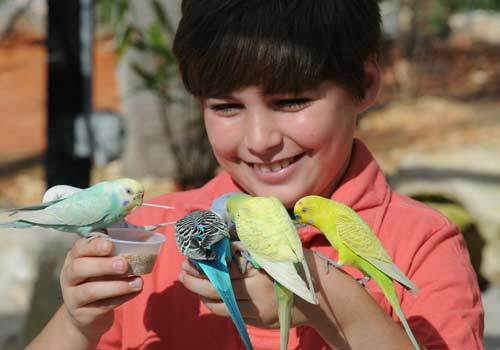 Feed an animal in designated areas throughout the zoo. 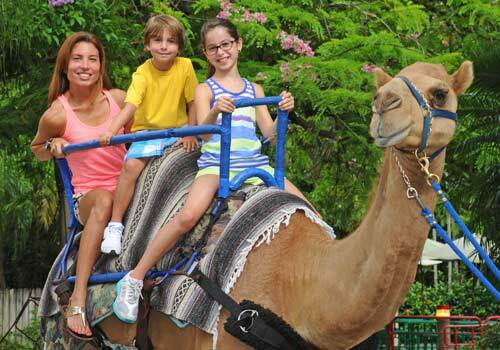 Zoo Miami is the ideal place for an individual, a couple, or an entire family to spend a day. 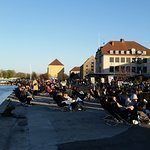 As a matter of fact, visitors can travel the world in one day! They will visit Africa, Asia, the Amazon, and Australia. 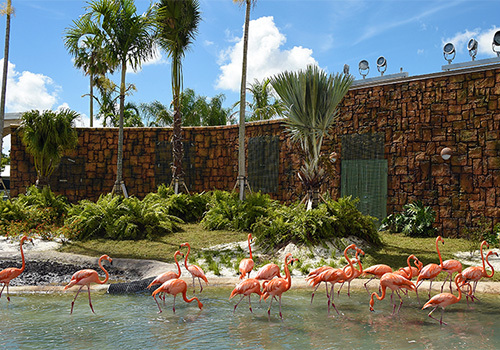 Zoo Miami consists of 340 developed acres with more than 3,000 animals and over 1,200 plants and trees which are planted in such a way as to mimic the animals’ natural habitats. 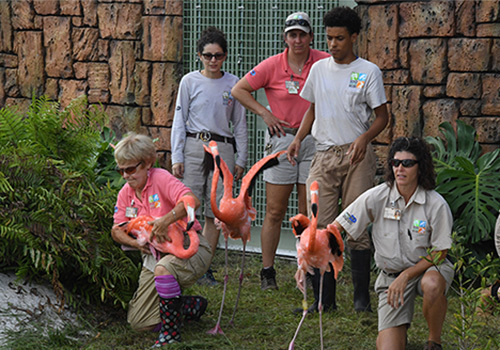 Guests will be able to feed giraffes, parrots, and a rhino; ride a camel; have animal encounters; meet the keepers during scheduled Meet the Zookeeper talks throughout the day; and much more. 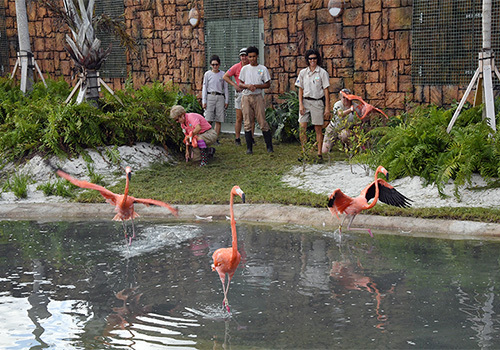 They will enjoy jaguars, lions, tigers, orangutans, elephants, the Wings of Asia Aviary (the largest Asian-themed aviary in the western hemisphere with hundreds of free-flying birds), gorillas, chimps, koalas, kangaroos, frogs, snakes, meerkats, and more animals than we could ever list. This was my second time at the zoo but my hubby's first and it was amazing! We went during the weekday which was less crowded and gave us the opportunity to take our time exploring. We were able to feed the giraffes and birds, which were an amazing experience for us both! We highly recommend, especially to families or anyone looking for a mini adventure. Do rent one of the cycles, as this helps a lot with the distance to cover; you won't regret it! Tip: Ensure you keep hydrated and sunscreen is a must! Once a year, on our family vacation to Miami, we always come and visit this place. Nice place and great for kids. Various animals from different continents. We can walk or taking bicycle to go around. And there is a monorail too. It’s very crowded on holiday seasons but this place is very good for family gathering too. My kids love to come here all time. "Big Zoo, but many of the same animals"
We went to this Zoo today, and it is a huge and good loking Zoo. The animals was much the same just from different areas off the world. Soo a little more animals could have been better. The rest was OK. 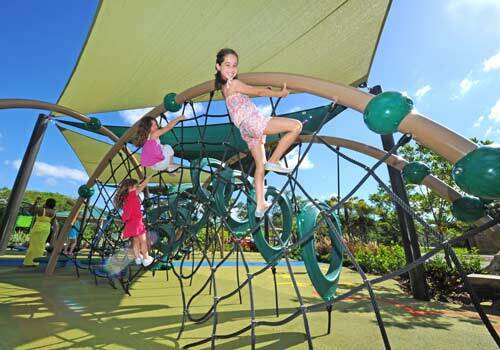 The zoo is well maintained, beautiful n clean Nice playground, and splash area for the kids. Will need water shoes and swim suits for splash area. It’s a large zoo and with small kids I’d suggest the monorail or renting the bikes or you won’t see it all. There’s a carousel for extra. DO NOT EAT at the restaurant nourish by the main entrance. It was disgusting. Kids pizza was inedible even to a 5 year old. The fruit cups were rotten. They only have 2 high chairs!! It’s a zoo where kids go! 2 high chairs is not enough. Flatbread sandwich was gross. Sister in law had a wrap n thought that was good. "This is the best zoo we have ever been too"
I have to admit, we were struggling with whether or not to do this. Then when no other options worked out, we decided to go ahead. We were there five hours and didn’t see it all! The place closed at 5pm or we probably would have had another three hours easy to see everything we wanted to see. We happened to hit the day they were feeding the crocodiles and alligators and that was so cool. The zoo and the staff are amazing! Loved it! Would definitely go back. "Big zoo. Lots to see. " We had a great day at Zoo Miami! We walked about 6 miles total during our visit. There were a great number of animals to see. All exhibits had informative placards that could be read quickly and included visual aids. Take advantage of feeding opportunities. We fed giraffes and camels but missed the rhino time. The monorail was very slow. If you don't need it, don't spend the extra money to ride it. Victor at the "Wings of Asia" was extremely accommodating. Kudos to him. Is the Safari Tram Tour included in the general admission ticket? No, this is an extra $5.95 plus tax and can be purchased at the ticket booth. No, this costs $3.50 per person. Please note the monorail is currently closed for repairs and trams are being used in its place. You can board these trams downstairs at any of the four monorail stations. How much is it to rent the Safari Cycle? 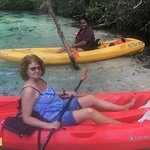 They offer the small 2 hour rentals for $26 with additional hours for $13 + tax (accommodates 3 adults and 2 small children). The large cycles are $36 for 2 hours and $18 + tax for additional hours. Weekdays we are open from 10 a.m. - 5 p.m.; weekends and holidays we are open from 9:30 a.m. - 5:30 p.m. Ticket booths close daily at 4 p.m. Some animals start going in for the night at 5 p.m. Our hours of operations vary on Thanksgiving and Christmas. How big is Zoo Miami? 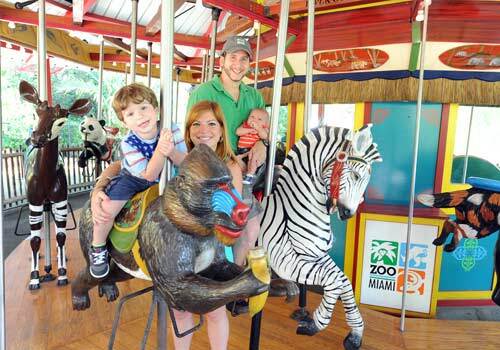 We are comprised of 740 acres, 346 of which are developed and house the zoo. This translates into over three miles of walkways. Most of the undeveloped land, which surrounds the zoo, is endangered and federally protected. How long does it take to get around? It depends whether you walk, rent a safari cycle, take a tram tour, or the monorail. The average visit takes about four hours, but for some people one 8-hour day is not enough. 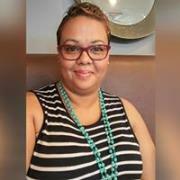 Do you offer stroller rentals? Yes, single strollers are $8 double strollers are $10 + tax. Do you have places to eat and do you have kosher meals? We have concession stands throughout and they serve regular and vegetarian foods; we do not serve kosher meals but you may bring your own, picnic tables are located outside the zoo entrance. May I bring food and drinks inside the park? We do not allow food or drinks inside the park. The general rule states that outside food and beverage are not allowed in the zoo. One bottle of water per guest which includes commercial or reusable bottles. Exceptions to the rule include: For children 2 and under: Baby formulas and food, baby bottles and drinking cups for toddlers. Box and pouch drinks are permitted once the attached drinking straws are removed. Individual snack portions for toddlers in a sandwich size bag. Oversize bags, backpacks, coolers and luggage are allowed but are subject to be searched. Guests are welcome to use the picnic area located at the front of the zoo to eat their food. What is the weather at the zoo today? While we cannot determine what the weather is going to be at any given moment, your best bet is to visit www.weather.com, type in zip code 33177, and get accurate information. 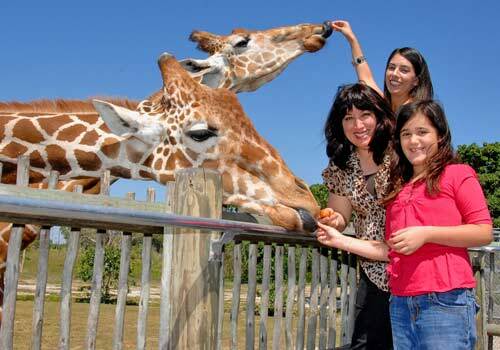 Zoo Miami has various animal feedings for the public such as parrots, rhino and giraffe. We also have Meet the Zookeeper talks throughout the day where you can listen to keepers talk about their animals and watch them feed them. Our animals are on strict diets and can only eat the food prepared for them by their keepers and our veterinarians. Can you rent a golf cart? No. 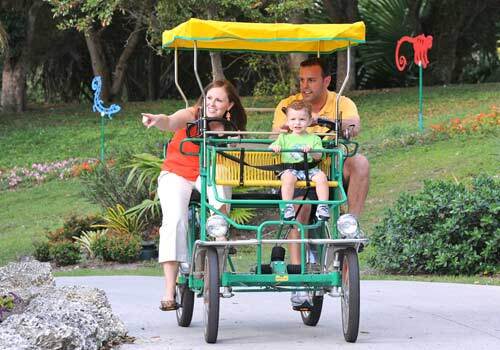 Golf carts are restricted for staff, VIP tours, and special tours, such as the wildlife tour. Yes. All exhibits, concessions, and modes of transportation are handicap accessible. 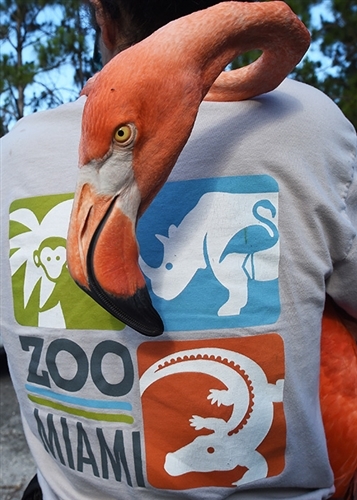 Additionally, service animals are allowed inside Zoo Miami. Do you offer wheelchair rentals? Yes, wheelchairs are $8 and ECV’s are $30 + tax per day.